The National Convention of Workers under the aegis of Central Trade Unions and Independent Federations held at Mavlankar Hall, New Delhi on 28-09-2018 has decided for a two day strike on 8th and 9th January, 2019. 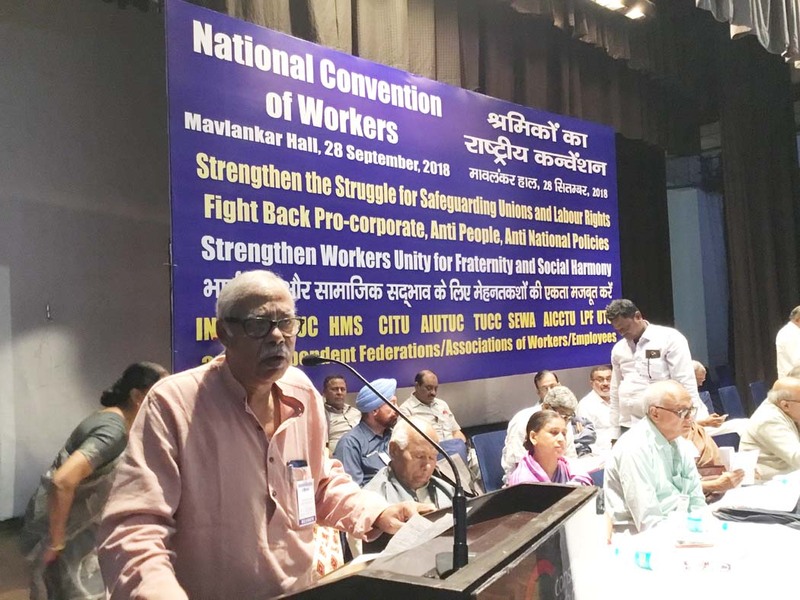 A resolution adopted by the convention stated that the NDA government did not bother even for the slightest change in their pro-corporate neo liberal policies after the three day Maha Dharna in November,2017 participated by lakhs of workers. The resolution pin-pointed the drastic amendments being made in the hard fought earned labour laws and privatisation of PSUs. 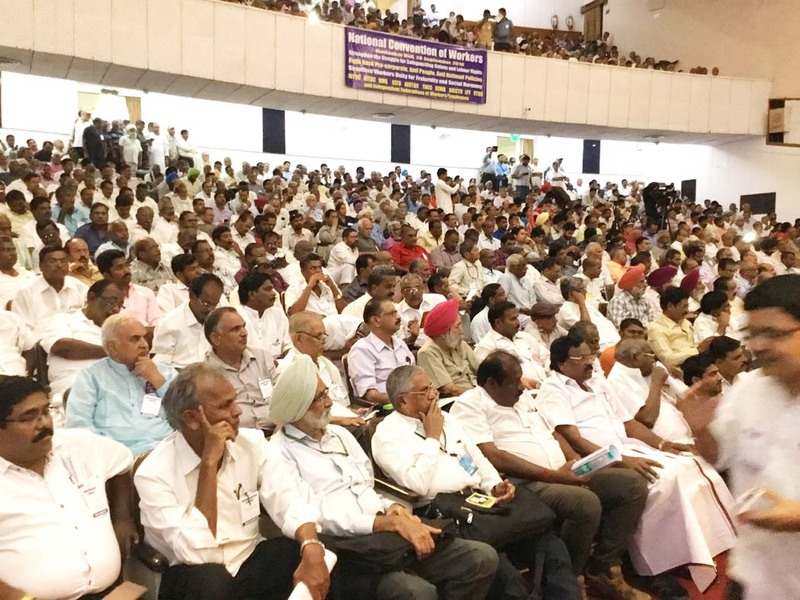 The convention was addressed by all leaders of the Central Trade Unions including Com.Tapansen MP, General Secretary, CITU. AIBDPA fully supports the decision and calls upon all its units to organize solidarity demonstration on 08-01-2019.